Apple picking is one of the best fall activities for families and friends to enjoy together. The days might be getting a little shorter and the warm sunshine of summer has started to fade away, but apple picking proves that there’s a lot of outdoor fun to be had in the fall. 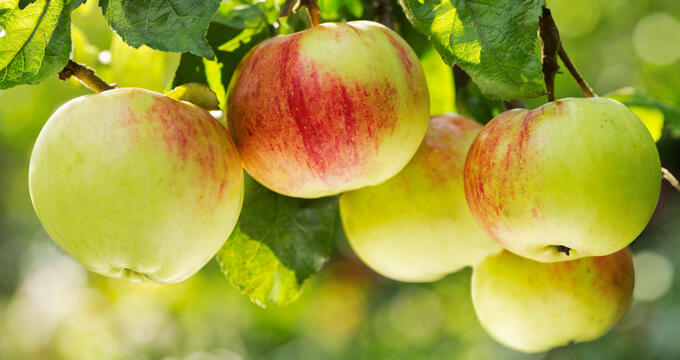 Dozens of different varieties of apples are grown all around the United States to be used in a million different recipes, from apples pies and donuts to sauces, ciders, jams, and more. New York State is a very popular apple picking destination. Apples are the official fruits of New York and the state has hundreds of different orchards and farms, with some of them being just short drives outside of New York City itself. Offering U-Pick from late summer through to fall, as well as other fun activities and attractions like mazes, hay rides, farm stores, petting zoos, bakeries, and more, these locations are a super way to spend a weekend. NYC itself isn’t known for apple picking, but New York State is one of the best apple orchard locations in all of North America and lots of great locations can be found just short drives outside of the Big Apple. Here are some important contact details and overviews of the top apple orchards near NYC. Situated in Newburgh, this little family-run farm has been offering U-Pick on various fruits and vegetables for more than three generations in total. Apple picking season starts in early September and runs through to November, with strawberries, peas, cherries, rhubarb, peaches, and pears among the other options at this location. Great-tasting treats are also available on site including apple cider donuts, apple pies, muffins, ice cream, cider, and more, and Lawrence Farm Orchards also has its own hay bale maze, duck pond, and other cool attractions for younger visitors to enjoy. This location is about a 90 minute drive from NYC. Another family-owned and operated orchard in New York State, Harvest Moon runs U-Pick apples through September and October, along with annual fall festivals and activities. Prices are very low at this location compared to other NY orchards, and the festivals offer all sorts of activities including live music, apple cannons, hay rides, and more. You can reach Harvest Moon Farm and Orchard from downtown NYC in a little over an hour. This location also raises a lot of livestock and sells plenty of fresh produce in the country store, including scrumptious apple cider donuts and local maple syrup. If you choose to visit Harvest Moon Farm and Orchard, you’ll definitely be heading home with a few bags of delicious treats to see you through fall. Previously known as Applewood Orchards, this location was renamed in honor of David 'Apple Dave' Hill, who founded the orchard many years ago and passed away in 2014. This is a really friendly, welcoming apple orchard that can be reached in around 90 minutes from NYC. Ten different varieties of apples can be picked at this location including McIntosh, Cortland, Honeycrisp, and Empire, and Apple Dave's has the unique distinction of being one of the few orchards in New York State to offer unique alcoholic drinks like apple vodka. Additional activities at Apple Dave's include wagon rides, puppet shows, live music, and more. Head out to the Hudson Valley and witness the beauty of this stunning part of New York State as you roam among the apple trees of Masker Orchards. One of the top-rated apple picking sites near NYC, Masker is less than two hours away from the Big Apple and offers over a dozen different apple varieties. One of the cool features of this farm is that you're allowed to eat as many apples as you like, fully free of charge! So if you get a little hungry while wandering around, you can simply pluck an apple and give it a bite. Attractions at Masker Orchards include a country store, pony rides, music shows, and even a haunted house for Halloween. Special events are held throughout the year and an ATM is situated on site for your convenience.